I like the Critical frame better, and I think it would be too much purple with the original frame on it. I think I may just get new SPD grips for now... ARRGGHHH what to do! Grips & ASA nob if that much. Don't do anything else. The black macrofittings flow with the ASA and reg you don't want it to end up looking too botched. Personally I think it looks great as it is. If you REALLY want an anno, have all the purple parts made burnt orange. Can't wait to see what the grips are going to look like. Have you decided on a pattern? 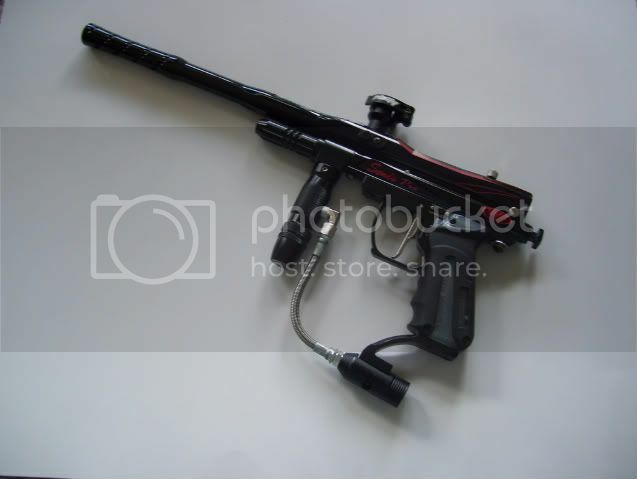 I say anno the CP asa and get some sort of purple grips. Leave the gripframe alone. I still say leave it the way it is. Subtle and not overstated. Just enough purple showing, but not enough to make it a "Purple" gun, if you know what I mean. which is the gun of my dreams! so, have you made a decision yet Dan?